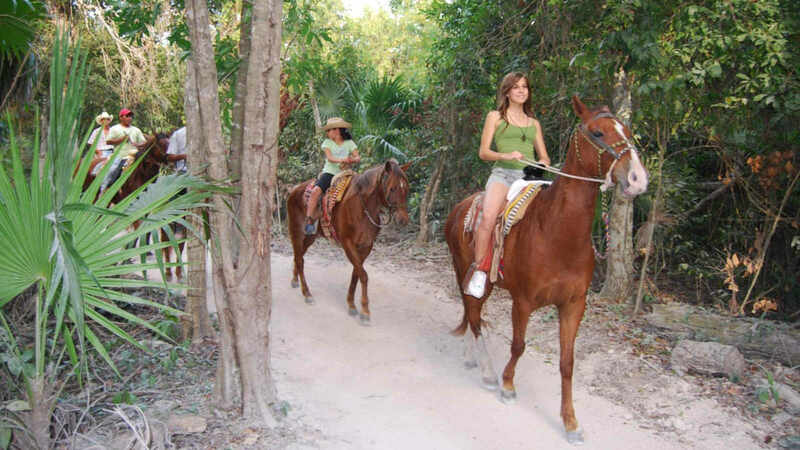 Jungle Tour on Horseback (2 hours). 12:30 - Return to their hotels. Water and soft drinks in transportation. Small groups, maximum capacity. 8 people. $ 96.05 $ 85.00 Adults. $ 88.14 $ 78.00 Juniors 6 - 11 Years.